GOPC recently attended the celebration of the launch of the new South Side Renaissance Fund. The celebration was held at the Residences at Career Gateway Training Center, a low-to-medium income housing complex that provides residents with on-site workforce training. The South Side Renaissance Fund is a $20 million loan fund that will be used for the financing of community development projects and the acquisition, construction and permanent financing of 170 units of affordable single and multifamily rental housing. The fund, the first of its type in the nation, is comprised of a mix of low-interest loans and community development grants. The $15 million in low-interest loans will go towards renovation and construction of affordable rental units. The $5 million in community development grants will be used for broader community development, such as small business development along the Parsons Avenue corridor. The fund, which will be administered by the Ohio Capital Finance Corporation, received funding from Fifth Third Community Development Corp., First Financial Bank, First Merchants Bank, Huntington Community Development Corp., JPMorgan Chase, PNC Bank and Union Bank., the United Way of Central Ohio, the Affordable Housing Trust for Columbus & Franklin County and the Franklin County Land Bank. As an incentive to provide below market financing, Ohio Capital Finance Corporation and Nationwide Children’s are providing limited loan guarantees. In a surprise announcement at the event, Mayor Andrew Ginther also announced that the city was committing an additional $5 million to the fund over two years. 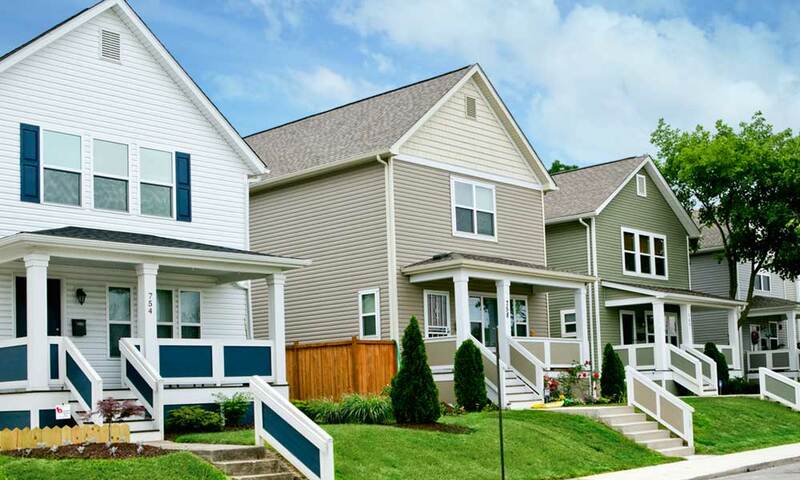 As the neighborhood changes rapidly, the goal of this new loan fund is to maintain affordability in the neighborhood to ensure Columbus’ South Side is a mixed-income neighborhood.